Welcome Home to the Award Wining Floor plan the Ryliewood! 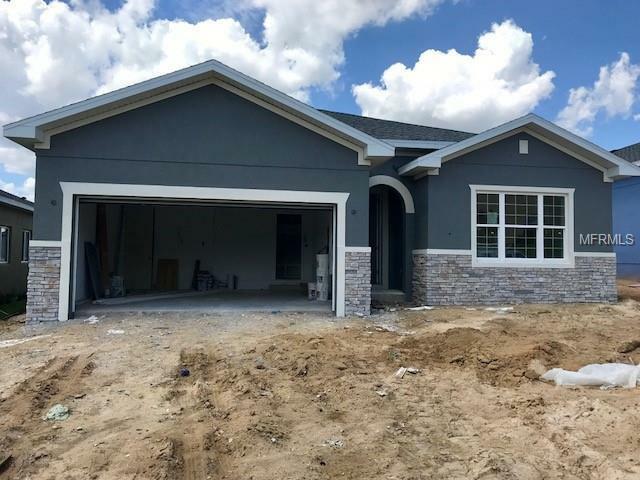 This Open floor plan with 4 bedrooms, 2 baths and a large great room will not disappoint from the moment you pull into the driveway you will be greeted with massive curb appeal. Applied Stone accents add to the charm of this beloved floor plan. Spacious upgraded gourmet kitchen with gorgeous under cabinet vent hood and large island are perfect for family gatherings or intimate dinners for two. Enjoy private Owner's Retreat with a large walk in closet. A great place to call home with gracious back lanai that's been blocked and pre plumbed for a summer kitchen! Conveniently located on our privacy loop, walking distance to the pool and amenities. Come see for yourself why Clermont is one of the fastest growing areas in Central Florida!